New Moon: An interactive light installation made from 5,500 repurposed light bulbs #ArtTuesday « Adafruit Industries – Makers, hackers, artists, designers and engineers! New Moon is an interactive shadow and light sculpture from artists Caitlind r.c. Brown and Wayne Garrett that was installed twice in Lexington, Kentucky back in February of last year. 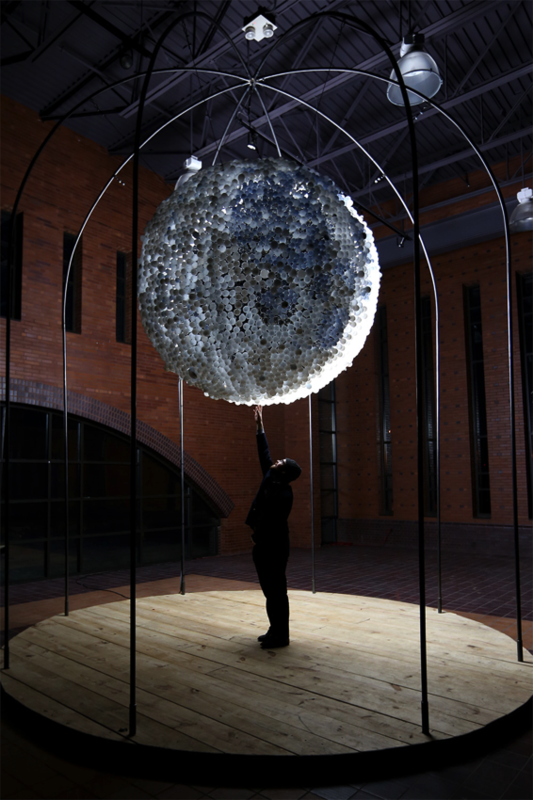 Built from 5,500 burnt out incandescent bulbs donated by the community, the sculpture allows viewers to manipulate phases of the moon using a large turnstyle. The piece is the fourth in a series of installations using re-appropriated light bulbs, more of which you can explore on their website.